Last week, Ireland's Minister for Jobs, Enterprise and Innovation, Richard Bruton, opened the Med in Ireland Conference 2013 (www.enterprise-ireland.com/medinireland), organised by Enterprise Ireland. 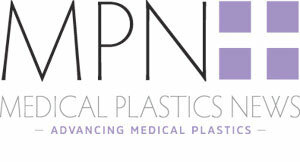 Medical Plastics News's Sam Anson was covering the event. The attendees included 340 buyers from medical technology companies, including the global top 10 who represent 50% of the world’s med tech purchasing power today at the Convention Centre, Dublin. Opening the conference Minister Bruton said: “Medical technologies is a sector targeted as part of the [Irish] Government’s Action Plan for Jobs, and it is crucial that we not only pursue further multinational investment in this sector but also provide support for the growing number of Irish companies in this area. Irish life-sciences companies employ 6,700 people, up 42% since 2006, and through our plan we are putting in place measures to grow this further”. “Today Enterprise Ireland has brought many of the world’s leading medical technologies buyers, including companies representing over 50% of the world’s purchasing power in this sector, to Ireland to see the quality of the products and services offered by Irish companies. I am quite sure that our high-performing companies will be well placed to take full advantage of this opportunity, and wish them every success with their efforts. Speaking to the 800+ international guests attending the event, Julie Sinnamon, CEO Designate Enterprise Ireland pointed out that sales in the Irish life-sciences sector now exceed €1 bn. “As a small country, Ireland has been able to bring together highly innovative indigenous companies, large well-established FDI multinationals, a continually developing world-class research base and strong links with the clinical community to create this rich and convergent landscape with world-class expertise across key sectors such as biopharma, medtech and ICT”, she said. “This ‘cohesiveness’ is now a key competitive strength internationally and Enterprise Ireland has organised Med in Ireland 2013 to capitalise on this and facilitate new strategic partnerships between Irish and international companies” said Sinnamon. Minister Bruton also officially opened the technology exhibition where the majority of the business will take place. As many as 81 Irish companies were showcasing their products and services to international buyers and engaging in 1,200 one-to-one partnership meetings scheduled by Enterprise Ireland with a view to doing business. These meetings built on progress made during 150 site visits to Irish med tech companies which took place in recent days. Global challenges facing the healthcare sector were discussed by speakers including Michael Mussallem, Chairman and CEO, Edwards Lifesciences; John Dineen, President and CEO, GE Healthcare; Wolfgang Hofmann, Senior Vice President, Fresenius Medical Care; and Dr Ibtesam Albastaki, Health Operations Director, Dubai Health Authority. A clinical seminar with speakers from the renowned Cleveland Clinic in the United States and their peers from Irish hospitals explored how medical innovations are changing the practice of healthcare and improving patient quality of life. The afternoon session focused on global trends in medical technology. Speakers included Ian Purdy, Vice President, Global Medical Device Regulatory and Quality Compliance at Thermo Fisher Scientific; Benjamin Sarda, Head of Marketing of Orange Healthcare in France; and Marie K. O'Malley, Senior Director of Supply Management, Medtronic CardioVascular, in the United States. A software reminiscence therapy for sufferers of Alzheimer’s disease and other dementia called Rempad won the Clinical Innovation Award 2013, sponsored by Enterprise Ireland and Cleveland Clinic. Julia O’Rourke, a senior speech and language therapist, was presented with the award by Minister Bruton at the Enterprise Ireland Med in Ireland event in Dublin on Wednesday. Rempad is a new software tool which uses multi-media content to connect carers and residents with memories from the past to enhance the overall wellbeing of nursing home residents suffering from Alzheimer’s. There are 35 million people living with dementia worldwide, and this will triple by 2050. Rempad’s reminiscence therapy software uses historical artifacts such as photos and broadcast footage to stimulate memories from the past and help individuals or groups to communicate. O’Rourke collaborated with the Adelaide and Meath Hospital and researchers at CLARITY in Dublin City University to develop Rempad. Presenting the award, Minister Bruton said “The Clinical Innovation Award aims to recognise clinicians engaged in projects that can benefit healthcare as well as Ireland’s medical technology companies. As lead promoter for a new spin out company being formed around the technology, O’Rourke is a great example of the clinical community driving innovation into new Irish enterprise and creating jobs”. O’Rourke will receive a grant of €15,000 to work with Enterprise Ireland and Cleveland Clinic to develop the commercial aspects of the software. Congratulating Julia on her award, Enterprise Ireland CEO designate Julie Sinnamon said, “The potential social and economic benefits of Rempad are clear. As a speech and language therapist, Julia has co-developed this software with the end-user in mind and has shown great determination in getting the technology in to nursing homes to benefit residents with dementia. Enterprise Ireland is delighted to work with people of Julia’s calibre to commercialise publicly-funded research and develop new products and services like Rempad”. Julia and the team trialled the Rempad prototype with 7 Irish nursing homes last year, all of which expressed a commitment to subscribe when Rempad becomes commercially available. Rempad was found to benefit the resident, the carer and the care home. Residents reported increased well-being and carers found the system easy to use and reported a greater knowledge about the lives of the people in their care after use. Enterprise Ireland and Cleveland Clinic also recognised the other finalists. Mr. Sherif Sultan is a Consultant Vascular and Endovascular Surgeon in the Western Vascular Institute at University Hospital Galway, and the Galway Clinic. He was selected as a finalist for his work on stem cell treatment of peripheral vascular disease. Dermot Kenny, Professor of Cardiovascular Biology at the Royal College of Surgeons in Ireland and Beaumont Hospital, was selected as a finalist for his work to develop a diagnostic for cardiovascular disease using platelet stickiness. They will both receive Feasibility funding from Enterprise Ireland to investigate the commercial potential of their ideas. The Clinical Innovation Award was jointly initiated by Enterprise Ireland and Cleveland Clinic, USA to recognise the importance of clinical innovation in Ireland. The purpose of the award is to tap in to Ireland’s clinical community with a view to developing new healthcare products and services that will improve patient care and benefit both the health care system and Ireland’s medical technologies sector.